The Los Angeles County Sheriff’s Department Traffic Services Detail will be conducting a DUI/Driver’s License Checkpoint on Friday, February 3, 2017 at an undisclosed location within the City of West Hollywood between the hours of 6:00 p.m. and 2:00 a.m.
Research shows that crashes involving an impaired driver can be reduced by up to 20 percent when well-publicized proactive DUI operations are conducted routinely. DUI Checkpoints like this one are placed in locations based on collision statistics and frequency of DUI arrests, affording the greatest opportunity for achieving drunk and drugged driving deterrence. Over the course of the past three years Los Angeles County Sheriff’s deputies have investigated 942 DUI collisions which have claimed 20 lives and resulted in another 1,417 injuries. Officers will be looking for signs of alcohol and/or drug impairment, with officers checking drivers for proper licensing, delaying motorists only momentarily. 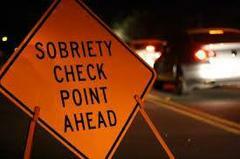 Funding for this checkpoint is provided to Los Angeles County Sheriff’s Department by a grant from the California Office of Traffic Safety, through the National Highway Traffic Safety Administration, reminding everyone to ‘Report Drunk Driver – Call 9-1-1’.